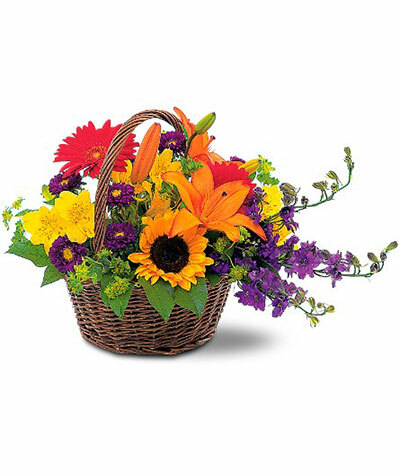 A rustic basket overflowing with bright garden blooms such as sunflower, larkspur, Gerber daisies, asters, and more. Makes a great centerpiece or coffee table decor. A cheerful and gift for any occasion.